On today’s Wednesday Randomness, we’re talking about things we spend too much time doing. As a self professed obsessive compulsive person with ADD, I spend a little too much time doing everything except what I’m supposed to be doing. I love music, and I can’t write without it. So, I can spend hours creating and perfecting my playlists on Spotify and Amazon Prime. I post my playlists for each book and WIP (something else to procrastinate on instead of actually writing my books or clean the house). One example can be found on the page for Second Chance at Love, my debut novella. I love to sing, too. I come from a large family of musicians who all play instruments. I’m kind of the black sheep of the family since I only sing, but I love to sing. Occasionally I post covers on YouTube because I don’t do original music (I may be a writer, but I definitely don’t write music). WORK! I spend too much time working — and I don’t mean writing. Yeah, it pays the bills and ensures that my family eats, blah blah blah. But it takes up too much quality writing/editing time! So it’s going on the list. Boom. I definitely spend too much time on Facebook. Way, way, way too much time on Facebook. I check it when I wake up. As soon as I get to work. While I’m at work (despite not really being allowed to have my phone on me at work). Before I leave work. When I get to my mom’s to pick Monkey up. When I get to my house. While I’m supposed to be writing/cooking/cleaning/reading/sleeping. It’s how I stay connected to my friends and family. How I learn what’s going on in my industry (other than reading blogs). How I get cheered up (who doesn’t love cute cat videos or goofy quizzes?) And I definitely use the hell out of the FB chat feature to stay connected to the owner of the publisher I edit for and both of my crit partners. READING! I listen to audiobooks. I buy print books. I buy eBooks. And I read them allllllllll. I’m a woman obsessed. There’s a picture floating around the internet somewhere of me in bed still wearing my glasses clutching my iPad with my Kindle app still blazing. It happened during my first con, at AAD NOLA and my friend Meredith took the picture the first night we were there. I got my revenge the next night by taking the exact same picture of her, because we’re basically the same person except she’s a little taller and her hair is curlier than mine. Also, she’s Meredith and I’m Paige, but we’re both insane book worms. Because books are our great escape. Books make me happy. I can go anywhere. I can be anything. I can sail a boat or be a trapeze artist or fly an airplane… books are a window to all the dreams we’re afraid to admit to having. Want to see what my blogging sisters spend too much time on? Click the links below! Books yes!!! I have a Nook and I buy real books and I listen to audiobooks when I drive because yeah obsessed. They are an instant ticket to someplace else without spending tons of money. 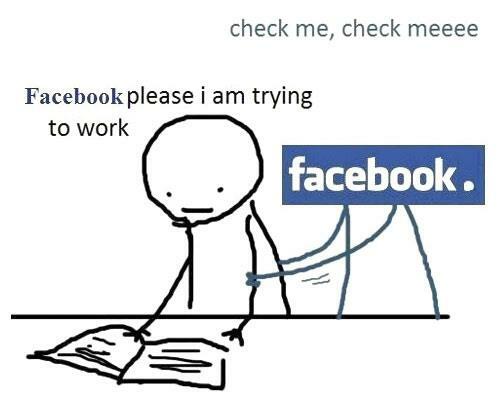 Yeah, Facebook is a HUGE timesuck. I can never just jump on real quick like. I lose way too much time. Check and check on the reading and tv watching. It’s definitely way to easy to procrastinate, and takes some major determination and discipline to get to it, yeah? When you go to your mom’s to pick Monkey up…we’re not talking a literal monkey…right? Because if we are, things have become far more interesting. LOL, Monkey is what I call my daughter online. I don’t use real names. I Spend Too Much Time… | Can You Vague That Up For Me?